In a matter of 20-30 years, we've gone from demonizing butter and glorifying grains to pinning bread as the "bad guy" and putting sticks of butter in our morning coffee! I titled this article "Bread vs. Butter", but the discrepancy goes far beyond that. It's more about carbohydrates vs. fats. But to keep it simple, the media suggested we eliminate all fat from our diets. When you take the fat out of food, you're basically removing all of the taste which isn't the greatest for sales as I'm sure you could imagine. So to fix this, companies started pumping their new "Low-Fat" treats with extra added sugar (refined carbohydrates). The media spent so much time demonizing dietary fat that people assumed that it was fat — not calories — that caused excess weight gain. "Look how much fat this has in it!" You see, "Low-Fat" foods typically contain just as many calories as their full-fat counterparts. If you've been following the latest nutrition trends, then you are probably aware of the new low-carb movement. It seems as if overnight fat became good again, and it's those darn carbohydrates that are to blame for our expanding waistlines. "I'm eating healthy and still can't lose weight! I've stopped eating bread and everything!" In my opinion, this low-carb thing is just another fad to hide the fact that we are eating too much and being too sedentary. Note: There are plenty of professionals who are WAY smarter than I am that preach low-fat and low-carb diets for a number of different health reasons. Typically, though, I've found that when there are extremes, the truth tends to land in the middle. Fat is one of the three macronutrients (along with carbohydrates and protein) that make up the food we eat. Common sources include Nuts, Butter, Cheese, Oils, Avocados, and Fattier cuts of Meat. There are also different types of fat as well. The biggies are Saturated Fat, Trans Fat, Monounsaturated Fat, and Polyunsaturated Fat. Pretty much everyone agrees that Trans fat is the bad guy here. Saturated fat has gotten a bad rap as well, but recent studies have shown that there is no significant correlation between higher or lower saturated fat intake and risk of disease. In fact, eating some saturated fat is probably a good thing as it is an important precursor for testosterone production. Now, just because fat contains more calories per gram than carbs or protein DOES NOT make it worse. It's just easier to overeat on fat (which is what most people typically do because of added oil and butter with foods). If you're tracking your calories and macronutrients, you don't need to worry about this. Along with carbs, fat is a fuel source for the body. Just know that the body uses both carbs and fats to fuel the body. It starts by using carbohydrates and then switches to using fat stores once all of the carbohydrate energy has been used up. Fat also helps with the absorption of vitamins such as Vitamin A, D, E, and K.
Going too low in fat can have a number of unpleasant side effects involving your endocrine and hormonal health. To avoid this, I recommend that 20-35% of your calories come from fat (depending on preference). As stated above, carbs are a macronutrient and contain 4 calories per gram. They provide energy for the body, and a particular type of carbohydrate (glucose) is what provides energy to the brain. Carbs are stored in the liver, brain, blood, and muscles as glycogen. Their main job in the body is to provide us with energy. When people recommend low-carb diets, it's usually to reduce the response of the hormone insulin. Insulin is the "fat-storing" hormone in the body, so the theory goes that lowering your carbs (and insulin levels) will lead to less fat storage. The problem is that carbs aren't the only macronutrient that causes spikes in insulin, protein does this as well. And the truth is that for most people, spikes in insulin doesn't matter as much as total calorie intake. If you aren't eating in a calorie surplus, you simply CANNOT gain weight. The only times I recommend a low-carb diet is for people with Type II Diabetes (where proper insulin secretion is compromised) or folks with insulin resistance who may fare better on a lower carb diet. For most people, carbs should make up anywhere from 35-60% of their diet. So which is better for losing weight, Low-Fat or Low-Carb? If you are active and lifting weights, you should eat more carbs to fuel your workouts and muscles. If you are diabetic, overweight or mostly sedentary, then you may want to have a lower percentage of your total calories come from carbs. Whichever way you go, it's still important to find balance. 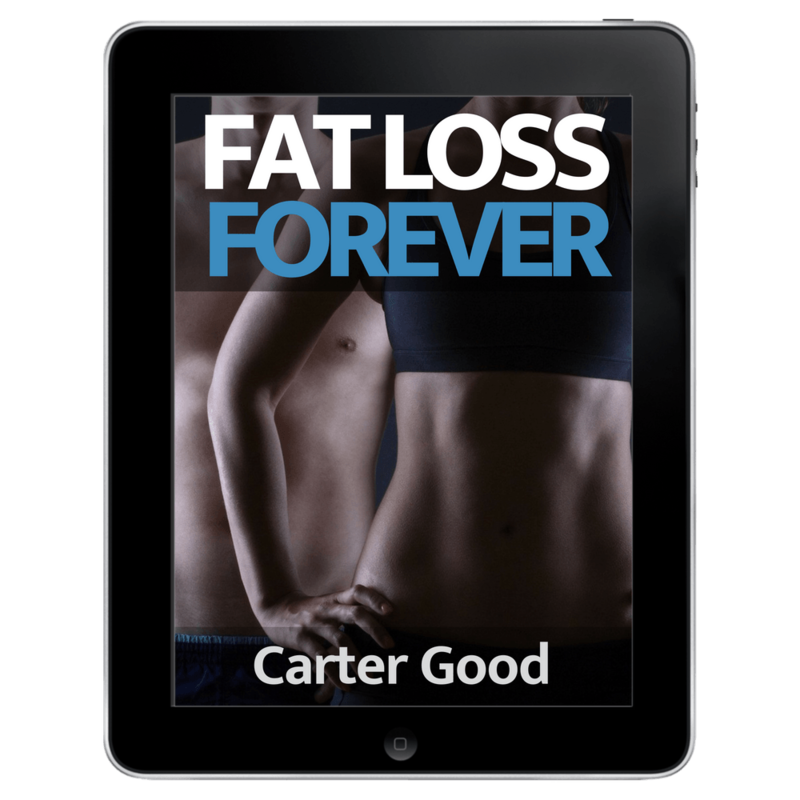 It's never a good idea to eliminate fat entirely, and for most folks, eliminating carbohydrates isn't necessary nor enjoyable. Who wants to live a life absent of bread, cupcakes, and cookies? As long as your calories are set correctly for your goals, and you're getting enough protein, the ratio of your carbs and fats isn't as important. Try to get at least 20-40g of fiber per day. These come from whole food carbohydrate sources such as fruits, vegetables, grains, and legumes. Sugar is a form of carbohydrate. While naturally occurring sugars in fruits and whole grains are nothing to worry about, there is some evidence that eating too many carbohydrates in the form of refined sugar can cause adverse health effects. Limit things such as non-diet sodas, candy, white bread, and packaged sweets. I typically follow the rule of 80/20. Make sure AT LEAST 80% of your food choices come from whole foods (fruit, veggies, nuts, legumes, lean meat, etc.) and then 20% can come from "dirty" foods such as ice cream and pastries. I don't know if it's human nature or what, but we always try to label things as good or bad. "So and so said fat was healthy. Therefore carbohydrates are bad." "I'm a Republican. Therefore Democrats are evil." "I love rap music. Therefore country music is ear-numbing." If someone tries to sell you on a fancy diet plan that involves eliminating carbs, eradicating fat, or any other type of extreme dietary change - run as far away as you can in the opposite direction.